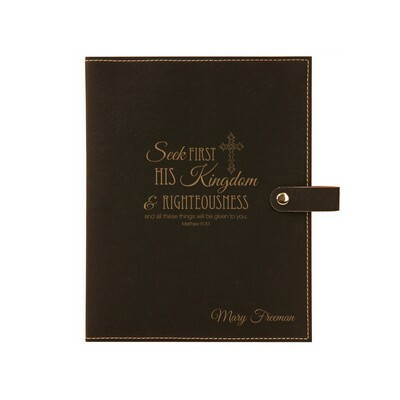 For many of us, reading the Bible is a daily event, and as a result, this special book can be worn down quickly with frequent handling. 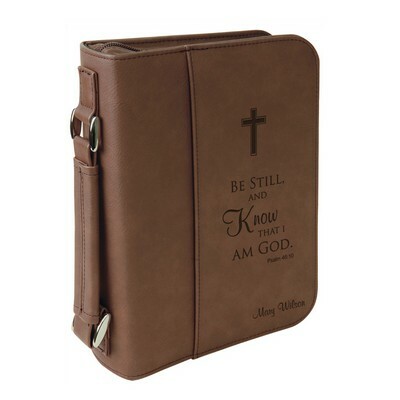 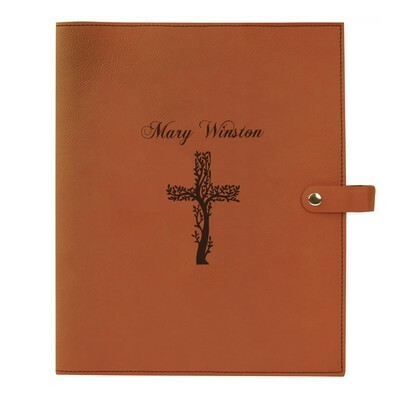 To protect your Bible, purchase a Praying Hands Personalized Gray Leatherette Bible Cover. This cover features two inside stitched flaps to hold your Bible in place. 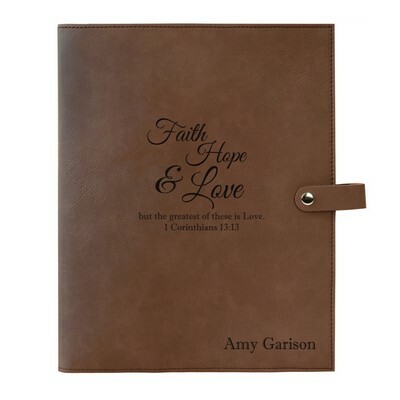 Any book up to 1 3/4 inches thick. 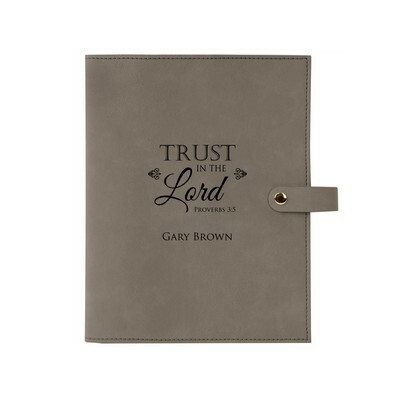 A nylon lining is available on the inside of this 6.75 x 9.25 cover. 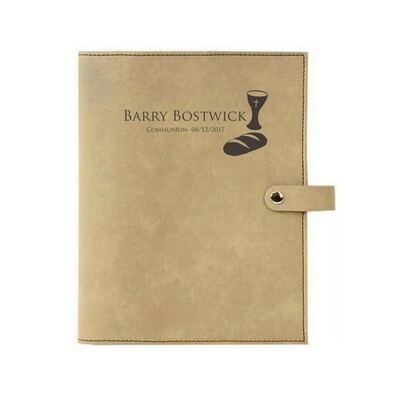 Personalize your cover with any name to specify ownership or make a unique gift.